Jackie Gonsalez (center) with Crowley colleagues and fellow vendors at the AAPN (Americas Apparel Producers Network) conference in Honduras. Jackie Gonsalez of Crowley Logistics is now Vice President of Apparel and Retail Supply Chain Business Development, overseeing a team of solutions-oriented professionals and core markets in the U.S., Puerto Rico, Central America, Asia, and the Caribbean. 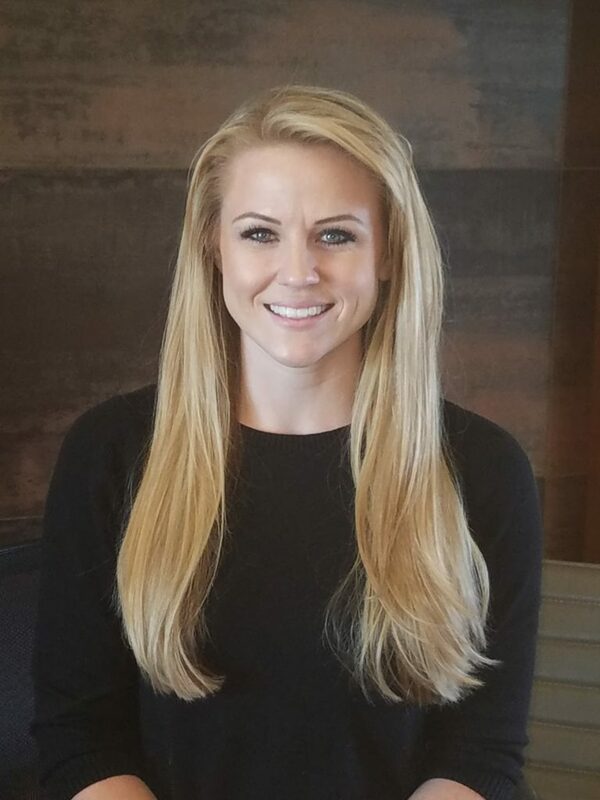 She is a rare combination of talent in the shipping and logistics industry and she is a proud Jacksonville University (JU) alumna. The 2015 MBA graduate started as an inside sales representative. “My Crowley Logistics history is a fun story. I came to Crowley from another transportation company and had some industry knowledge. 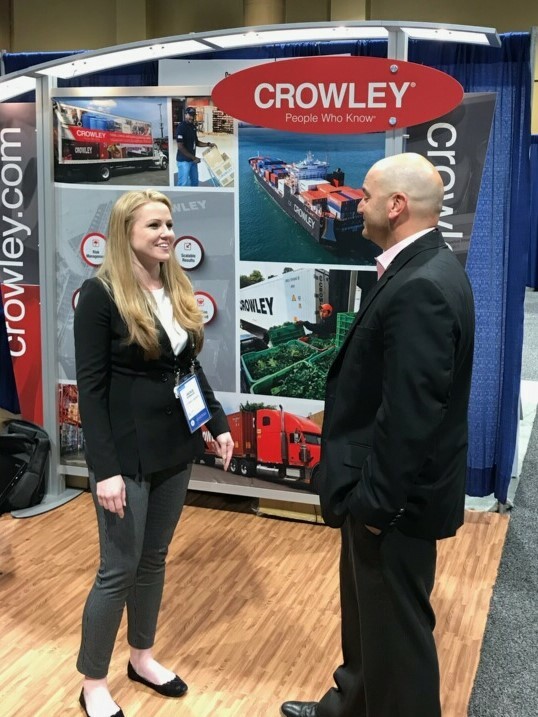 When the operations vice president realized my industry knowledge was in an area Crowley had not yet fully developed, he started picking my brain about my rail knowledge.” Soon, she moved into an operational role and expanded her responsibilities. It started with domestic rail, then international, then trucking within the U.S., and later, holding roles within vital special projects and systems implementation. 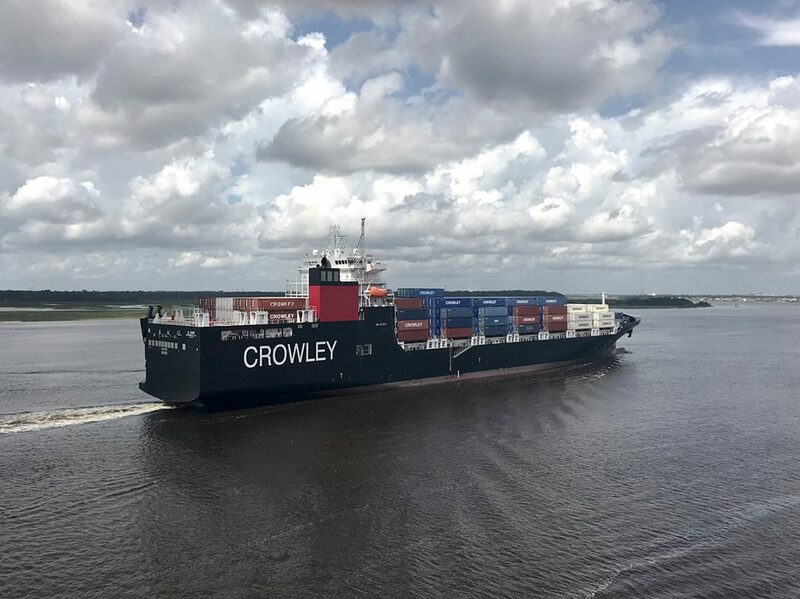 With the support of other senior leaders at Crowley, the company provided assistance for Gonsalez to select a program. 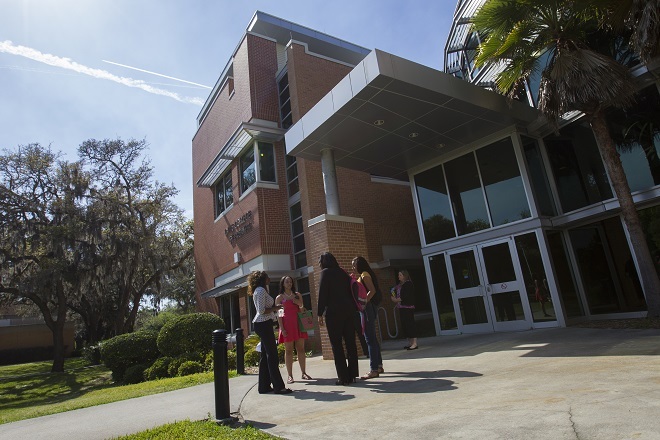 She looked at the University of Florida, University of North Florida, and JU. Crowley encouraged her to consider an in-class program and the flexibility of one that allowed her to continue working. The Flex Master of Business Administration (MBA) Program places experienced professionals like Gonsalez inside a leading-edge business curriculum. Students select a concentration area that best suits their needs—Accounting/Finance, Management/Accounting, or Management/Leadership. Maritime logistics is typically not among industries known for actively encouraging and appointing women to leadership positions. Although there has been an incredible rise of strong women leaders in the business world, the logistics and maritime sectors remain male-dominated. Of the 125 million people working in the industry, roughly two percent of the global workforce is women. She said the industry as a whole is evolving and more women enter logistics every day. That work ethic was reinforced by Gonsalez’ 10 years as a competitive springboard diver. She started at age eight and carried the sport into her days at Clay High School. Melisa Moses Hyams of Fleming Island, a 1996 Olympian, coached her. Hyams, who turned to competitive diving after injuries forced her out of a gymnastics career, earned a chance to compete in the Atlanta Summer Olympics. Gonsalez said the framework from which Moses operated shaped who she is today. Q: How do you stay organized and handle time management? J: When I’m at home, my family gets my undivided attention. When I’m in the office… prioritize and delegate, and working lunches kill two birds with one stone. Also, I’m an observer and like listening to how people got to where they are and how they operate. So I may think, hm… I really like the way this person handles public speaking or how this person organized something. I live by my calendar, but I recognize that everyone benefits from different organizational tactics. Staying open to how other people organize and customize is helpful. Q: How do you most often spend your lunch hour? J: Working lunches. Kill two birds with one stone. Q: For note taking in a meeting, what tools do you prefer to have on hand? J: I keep it simple—a notepad or OneNote. Q: What do you carry to the office every day—briefcase, messenger bag, backpack, purse, or something else? J: To be honest, a pump bag. I’m a new mom of a five-month-old daughter, so it just made sense. I stick my laptop inside and head out the door. Q: Any childhood moments that may have affected who and where you are today in business? J: (laughs) In elementary school, I was determined to become the CEO of Starbucks. I even wrote a revised business plan for them. Q: Who’s your favorite character from The Office? J: Jim, all day. He has common sense, he’s witty, and with guidance from a strong leader, I believe he’d realize his potential. I would hire him if he was real. Q: Of the many leadership books on the market, which one did you find most inspiring or helpful? J: Leaders Eat Last, by Simon Sinek. Q: What advice do you have for current students, whether undergraduate or graduate? J: Success is not defined by monetary value but by how much you love what you do. Confidence is key. Study, share your knowledge, work like you’re already in the position you want, and don’t wait for a promotion to work harder. When you’re looking for a job, work like you already have it. Don’t wait for a vacancy or a promotion. Do that now. Logistics is constantly evolving, like many other industries, so stay flexible and try to be proactive about industry changes. Focus on your success and not the success of others. I’ve seen talented employees get overlooked because they’re too worried about how a peer is performing. That will bring you down. Focus on your own success, energy, and positivity.